It’s not easy, it doesn’t matter who we are. Even as Aaron and his sons were called to serve in the temple, God calls us to do things that we sometimes don’t feel prepared to do. Just as Jesus and the prophets were rejected in their hometowns, those who answer the call to proclaim the good news will be rejected by many. As children of God, we will be tested. We will endure many trials. It will not always be easy. But we are never alone. The Spirit of the Lord is with all who have been baptized into Christ Jesus. In baptism, we were anointed with the Holy Spirit to be able to go out and proclaim the good news. So, lift your drooping hands, set your feet on the straight path, and let that light shine, for the Lord is with you. It may not be easy. There will be trials. But do not fear. 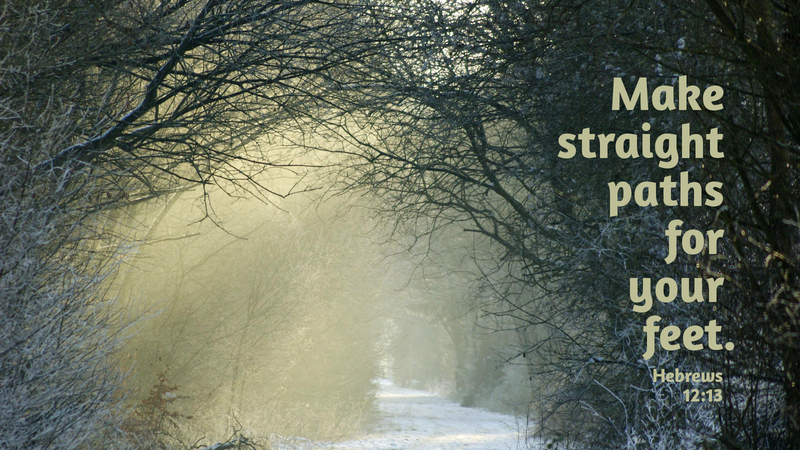 As we walk through each trial, the Lord will strengthen us. The Lord, himself, by the power of his Spirit, will guide and empower us to do our Father’s will, to follow in The Way he has set before us. Prayer: Grant us, O God, the courage to face all trials as we proclaim the good news to all people. Amen. Today’s devotion was written by Judy Mattson, Pastor of Zion Evangelical Lutheran Church, Skanee, MI.